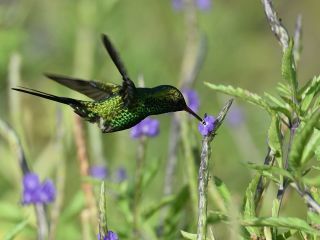 The agenda of activities includes conferences with bird specialists, photo exhibits, a bird first aid workshop, education workshops environmental, and a panel with experts in nature photography and of course birdwatching tours in strategic sites and invite those interested in nature, birds and ecotourism to participate. The Festival had its beginnings 10 years ago in 2009 in a very small way and only with a few participants in Cozumel who were interested in birds. 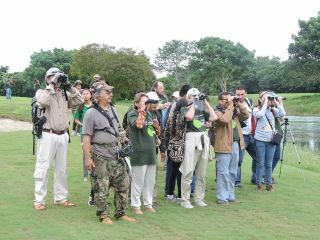 In February 2014, the Cozumel Birding Club was founded. Later, as the club grew, the festival was organized and eventually in 2014, the Festival Committee was created, which focuses on promoting the festival and it’s expansion to increase awareness of the amazing nature Cozumel has in the form of both resident and migratory birds. 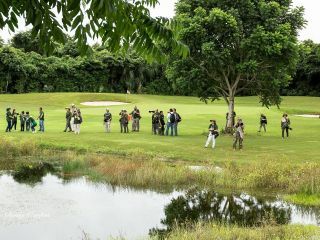 Among the activities are two bird walks at the top birding locations on the island, Punta Sur Ecotourism Park and the golf course at the Cozumel Country Club, where the closing breakfast will take place. The “Isla Cozumel Birding Festival” promotes bird watching as a sustainable tourism strategy on the island, and at the same time, is designed to inform and build interest in the vital role birds play in the balance of our ecosystems as well as their impact on life. For more information, check out their official Facebook Page.